How best to spend leisure time during the winter months? The cold, dark days of yesteryear called for story-telling, reading aloud, and board games. In early nineteenth-century England, friends and family members played several such games now shelved in Houghton Library’s narrow, high-ceilinged Z-closet, described by accessioning archivist Melanie Wisner as containing “things that didn’t fit elsewhere, physically and/or intellectually”—from Henry David Thoreau’s pencils to death masks. 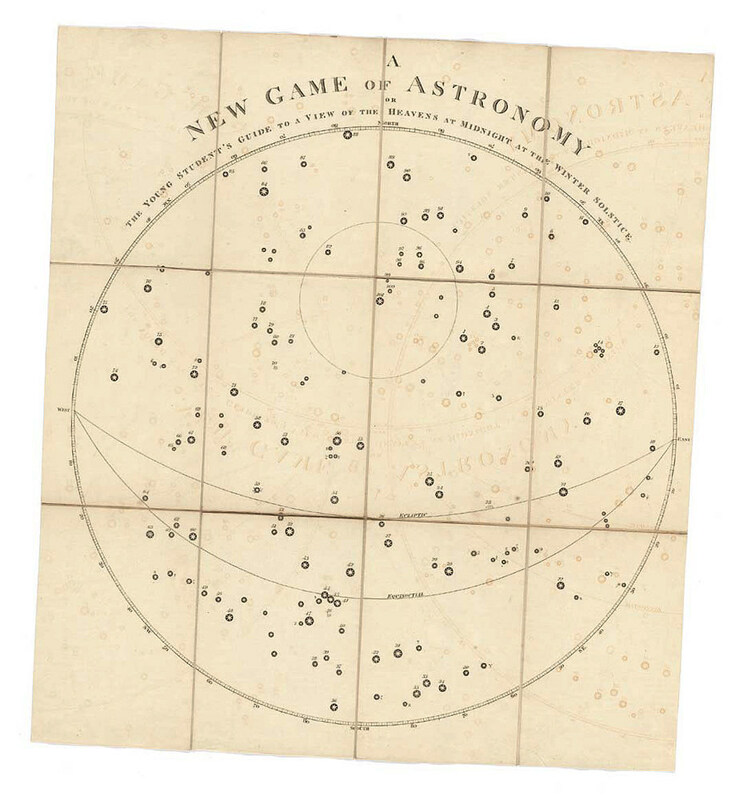 Pastora; or, the Shepherdess of the Pyrenees, a diverting game calculated to kill care, and enliven the dreary hours of winter, published in 1796 and played with counters and a pack of cards, offers an engraved, hand-colored playing-sheet depicting the shepherdess, holding aloft a seven of diamonds. 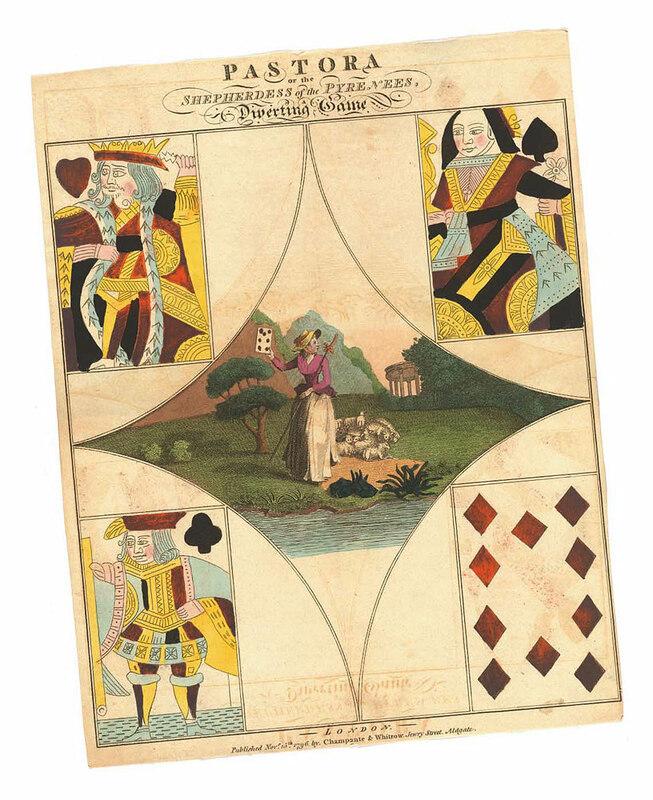 At the corners appear the king of hearts, the knave of clubs, the queen of spades, and the ten of diamonds; on these figures, players use counters to place their bets. The object is to play all one’s cards and collect the most counters. Board games and curios found in the Z-closet remind us of how we lived, and raise a looking glass to how we live today. In our era of smartphones and streaming video, perhaps it’s time to roll the die again and buy Park Avenue. Game night, anyone?